The U.S. Bureau of Land Management has endorsed ConocoPhillips’ plan for its Greater Mooses Tooth 2 project in the National Petroleum Reserve-Alaska. A federal agency has given key support to ConocoPhillips Alaska Inc.’s plan to develop a new oil field in Arctic Alaska. In a final supplemental environmental impact statement released on Thursday, the U.S. Bureau of Land Management endorsed ConocoPhillips’ plan to build its Greater Mooses Tooth 2 (GMT2) project in the National Petroleum Reserve-Alaska. The BLM chose as the preferred development alternative ConocoPhillips’ build the project with an 8.2-mile gravel road and a pipeline to link it to older oil-field infrastructure. GMT2 is among the fields being developed in the oil industry’s westward expansion across Alaska’s North Slope. 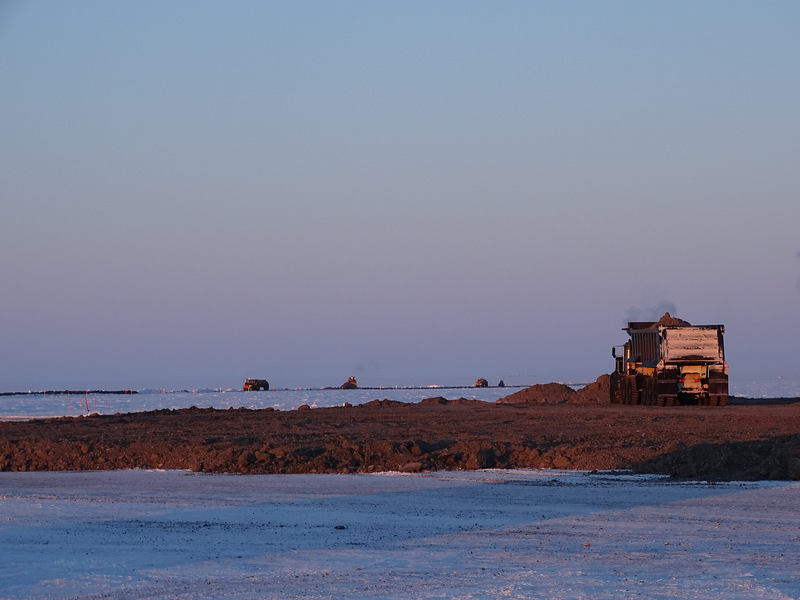 It would be the third producing field within the borders of the 23-million-acre NPR-A, a federal land unit west of the long-established Prudhoe Bay and Kuparuk fields. The first NPR-A field, ConocoPhillips’ CD5, began production in 2015; it is sited on Alaska Native-owned land within the reserve boundaries. The second field, ConocoPhillips’ Greater Mooses Tooth 1, or GMT1, has been in construction since early 2017 and is expected to come on-line late this year, with anticipated peak production of 30,000 barrels per day, according to the company. GMT2 would hold up to 48 wells, with its first production expected in late 2021, according to Conoco Phillips. The company said it expects to spend $1.5 billion to develop GMT2. An important issue studied, the BLM said in its document, was how GMT2 development would affect the nearby Inupiat village of Nuiqsut. Development of GMT2, on top of past development, has potential to result in “hunter avoidance” in the area and changes to overall subsistence activities, along with disturbances from aircraft traffic, spills and other impacts to Nuiqsut, the final EIS said. Impacts to subsistence food-gathering could extend to communities beyond Nuiqsut, the document said. The analysis found that the development “may significantly restrict subsistence activities for the village of Nuiqsut, and the cumulative effects of GMT2 and other development on the North Slope may significant restrict subsistence activities for the villages of Nuiqsut, Anaktuvuk Pass, Atqasuk and Utqiagvik,” the final EIS said. For many residents of Nuiqsut, the spread of oil development is worrisome. The village of about 450 is bordered by oil development — the Alpine field and associated satellite fields to the north and the Greater Mooses Tooth Unit to the west. At an April public meeting in Nuiqsut about GMT2, residents expressed concerns about oil-related air pollution, water pollution, disturbances to caribou, birds and fish, chemical contamination, permafrost thaw triggered by road construction and other impacts. Oil development has encroached on areas used for traditional purposes, several residents said at the meeting. “We’re losing out hunting areas, our land that we normally use to go hunt, these animals that we eat throughout the whole year. And it’s getting decreased. We have to go further and further and further to hunt them,” Eunice Mary Brower said at the meeting. The BLM will issue its record of decision on the GMT2 development plan after a 30-day public review period is completed. The agency’s final EIS on GMT2 came a week after a sister agency in the Department of the Interior, the Bureau of Ocean Energy Management, released a final EIS endorsing Hilcorp Energy Company’s development plan for the offshore Liberty project in the Beaufort Sea.